The WCC campaign has grown since forming in late 2007, but has always kept its focus on inclusivity; seeking out the quietest and least powerful, but equally relevant, voices in this story of potential urban change. Although delays and changes to the original plans were achieved, not least through the interventions of the Greater London Authority and the Mayor directly,Grainger did have their plans approved by Haringey Council in November 2008.However, this served only to galvanise the WCC further. 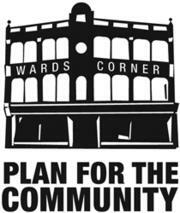 After nearly three years of relentless, focused and highly creative campaigning, the WCC recently won a landmark judgement in the High Court, and the developers had their planning permission for the Wards Corner site repealed in July 2010.The Council’s planning processes in respect of this application were found not to have followed duties under Equalities legislation. They had failed to assess the impact of the proposed development on relations between different racial and ethnic groups and on equality of opportunity in this area of Haringey. The people of Tottenham frequently feel their voice is ignored while the voices of people in more affluent areas of Haringey – Highgate,Crouch End,Muswell Hill for instance – are taken into account. WCC has become a lens for bringing this inequality into focus and saying ‘No More’. As a grass-roots community organisation our funding comes from voluntary financial and other contributions from our members and supporters. We also receive generous in-kind technical support from architects groups, press outlets, film-makers etc. The campaign centres on a strong coalition of local businesses and residents, drawing in support from architects, design organisations and numerous other community groups. Wards Corner Fun Fundraising Event on 17th November! You've achieved so much already! Over in Walthamstow we've been watching your campaign and learning a lot from your commitment and energy.